The Episode starts with Anjor saying this tattoo reminds me my past and people who cheated me, I hate him, I will never remove this stamp from my hand to keep the hatred alive. Bua fills Poonam’s ears. Chakor says its my first day in college, I have to go first. Sameer’s mum says have tea, I have packed your tiffin, you won’t be late. Chakor agrees. Sameer’s mum tries to know her salary. Chakor says 25000rs. Sameer’s mum Jaya gets greedy and says our budget is running low, we help everyone. Chakor says don’t worry, I will help you in managing house expenses. Jaya says thanks, give me 15000rs a month, it will be fine. Chakor thanks her. Jaya asks her not to get late on first day. Chakor leaves. Sameer is at college. He says I will wait for Anjor, one day she will love me. Prakash asks him to stop dreaming. Anjor comes and joins them for tea. Sameer smiles. She says we could hang out. Sameer says why not, I will book movie ticket. Prakash says I will come along. Sameer says guests are coming in your house. Anjor sees Chakor coming. She gets angry and runs after Chakor. Sameer and Prakash come there and look on. Anjor spoils Chakor’s dress. She asks how will you take class now. She smiles and thinks your entry won’t happen today. Prakash asks what problem Anjor has with your Mausi. Sameer says yes, I have to talk to Anjor. Prakash asks him to talk to Anjor or Chakor. Sameer agrees. The girls decide to go for pizza party. Chakor comes to take the class and asks them not to believe anyone. She lectures them. Principal says we have organized 100 metre race between teachers and students. Reema says Anjor will be winner like always. Chakor learns about the race. Principal says always students win in the race, even Chakor has to participate. Chakor agrees when they insist. Anjor worries. Reema says don’t take tension, you will win even this time. Anjor thinks Chakor will win the race, she is marathon runner champion. Sameer asks are you really participating. Chakor says yes, principal insisted for this, I didn’t think what will happen. Anjor goes for breakfast. Kiku compliments Anjor. She hurts his hand. Kiku screams and makes an excuse. Anjor warns him. Poonam asks Anjor to have juice fast, she has to do well in race. Jatin asks Anjor is there anything related to Chakor that is troubling her. Anjor thinks I can’t tell this to mom and dad. She says I have no relation with Chakor. He says you can tell me if there is anything. She says I will never ask anything, if you want to see me happy, you also don’t ask me, Chakor is my past, you all are my present, its precious to me. She hugs Jatin. Chakor thinks don’t know I can run today or not. Women joke on her. Principal greets them and likes their spirit. Anjor looks on. Principal announces that the final winner will be chosen. Chakor says I will win. She thinks don’t know if I have courage or not. Chakor and Anjor go for the race. 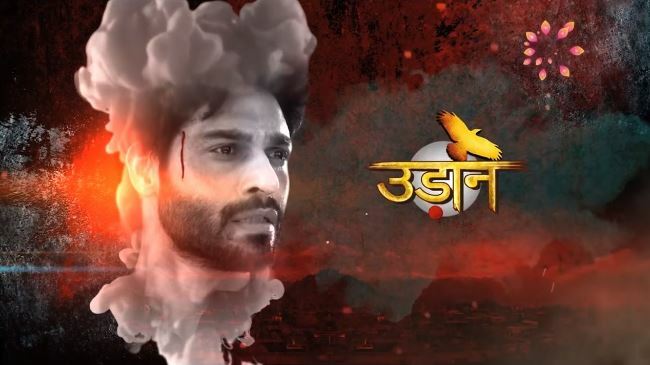 The post Udaan 4th March 2019 Written Episode Update: Chakor and Anjor participate in a race appeared first on Telly Updates.